In the previous instalment in this series, Garry Yovich discussed the pressing business priorities and goals that must be considered prior to partnering with a fulfilment provider. This week, he looks at ensuring you achieve the right area coverage for your offering. Australia has always suffered from what has been described as 'the Tyranny of Distance'. Not only are we a long way from some of the major trade hubs in the world, our own country is very large for the population it supports. This leads to a number of issues when considering nation-wide and even international fulfilment. Naturally, the first thing any retailer needs to ask is 'where is my existing customer base?' Beyond that, you may also wish to run some forecasting for expansion as your visibility increases online. When it comes to delivering to regional or international customers, it's imperative to have worked out the cost to your business, as well as considering your ability to charge customers an additional levy for the privilege. 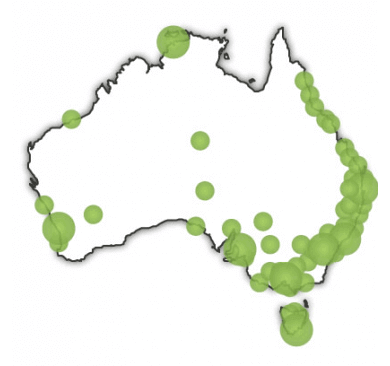 Medium to large Australian retailers operating online almost always offer nation-wide delivery services. In this case, the reality is in small towns one local courier agent may actually deliver for all of the major transport businesses. It may be the case that one courier company gives it to another who gives it to another, and so on. This is not uncommon in our rural areas. For these reasons, cost can be a very limiting factor when looking at deliveries Australia-wide due to increased charges incurred when delivering to rural areas. Another option to consider for nation-wide deliveries is to use postal services. Australia Post offers a large national network that delivers to pretty much anywhere, but as with any service, it's important to research turnaround times so that you can ensure the service meets your customers' delivery expectations. Another consideration to take into account: if you're electing to use a number of postal and courier suppliers, how is this managed from an IT point of view? There seems to be a limited number of IT platforms that will not only manage inventory levels, shopping carts and a despatch system, but can also integrate with the carriers and Australia Post to book the delivery automatically. Temando seems to be at the forefront of this at the moment and is continuing to evolve. Translogix and others are also continuing to develop these systems for the e-commerce space.